Fly from Los Angeles, USA, to Bangkok, Thailand, for just USD1,222 with Singapore Airlines. The quoted price is a round-trip economy class ticket inclusive of all taxes and airline surcharges. Departures are available from other American cities including New York, Houston, and San Francisco for a slightly higher fare. Promotional fares are available on select dates through December 9, 2012. Promotional fares are available until sold out. A surcharge of USD50 will apply for outbound travel on a Friday, Saturday, or Sunday. Once the ticket has been booked, a fee of USD20 plus any fare difference will apply for any changes to the itinerary. Promotional fares are non-refundable (except for the fuel surcharge and taxes). Promotional fares are not eligible for frequent flyer miles and cannot be upgraded. 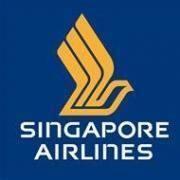 Singapore Airlines is the flag carrier of Singapore and is consistently ranked among the world’s top airlines. It is a full-service airline and passengers enjoy advance seat selection, checked luggage of 20kg for economy class travel, meals, beverages and a personal entertainment system while on board. Visit http://www.singaporeair.com for more information or to make an online booking.